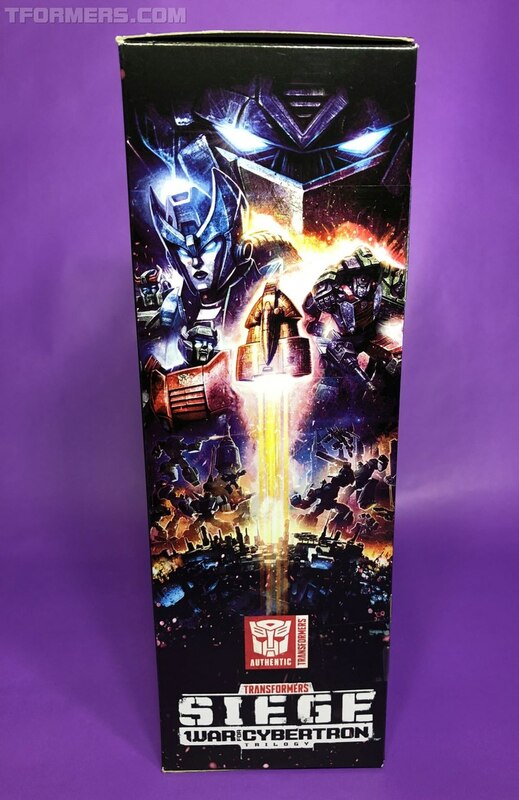 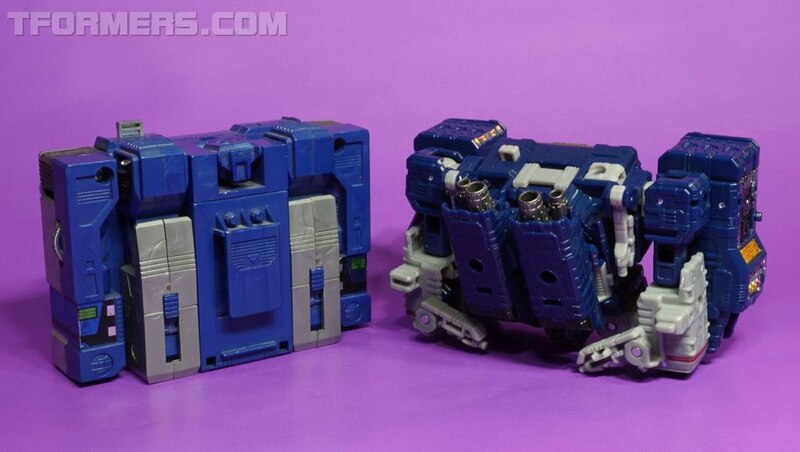 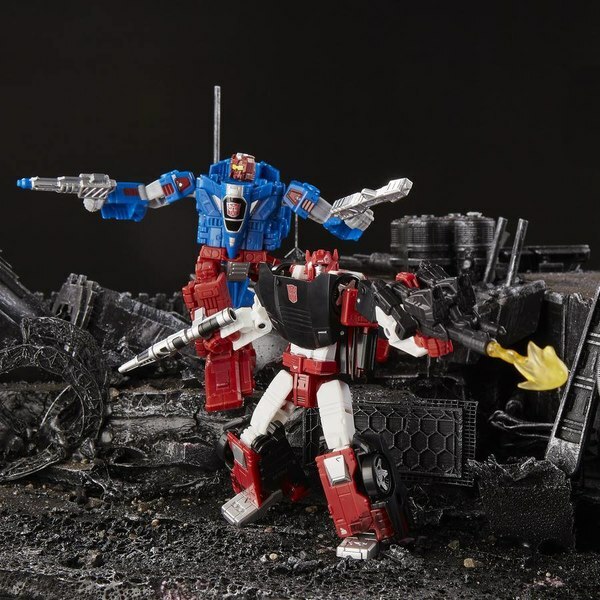 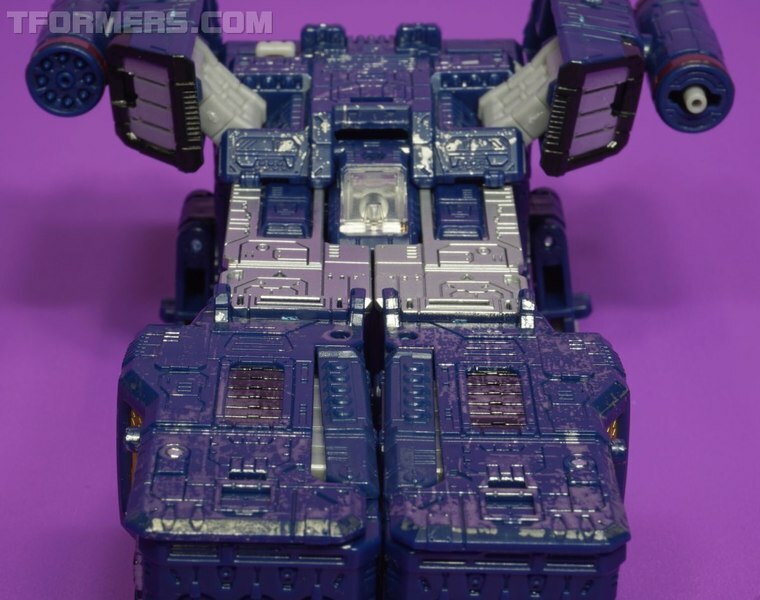 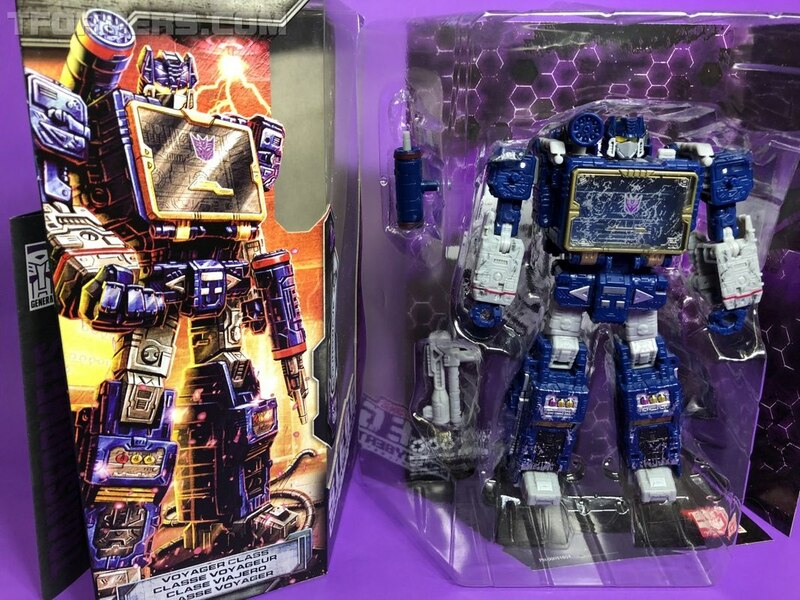 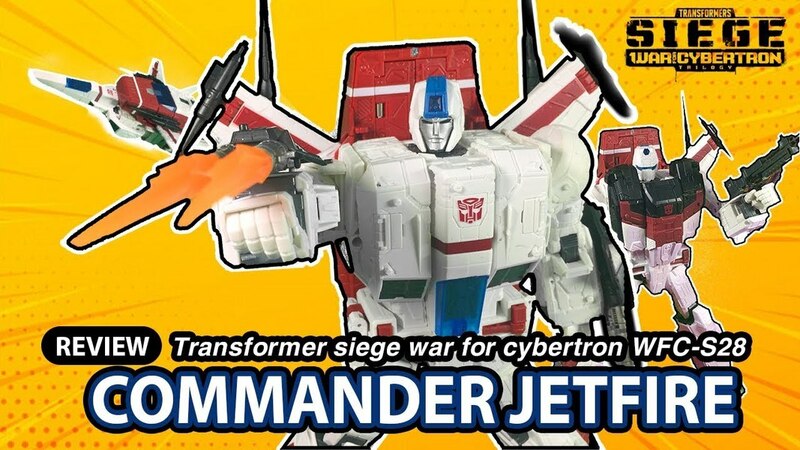 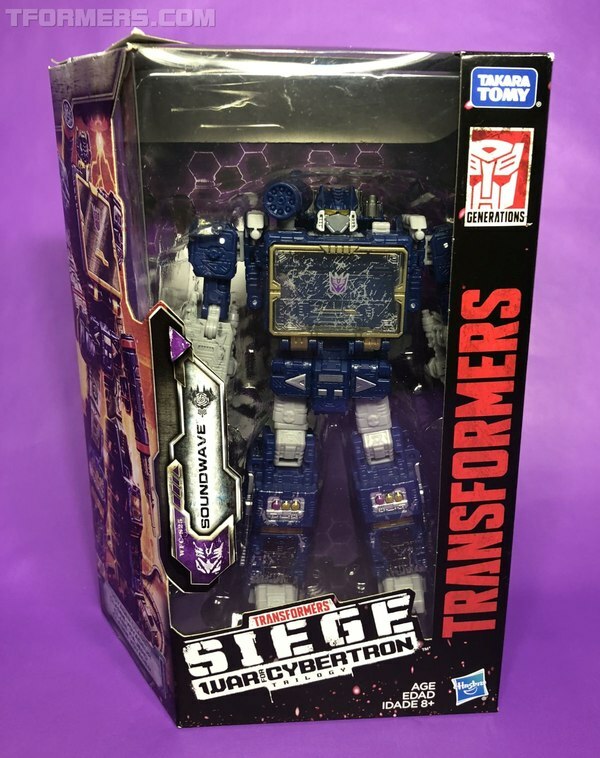 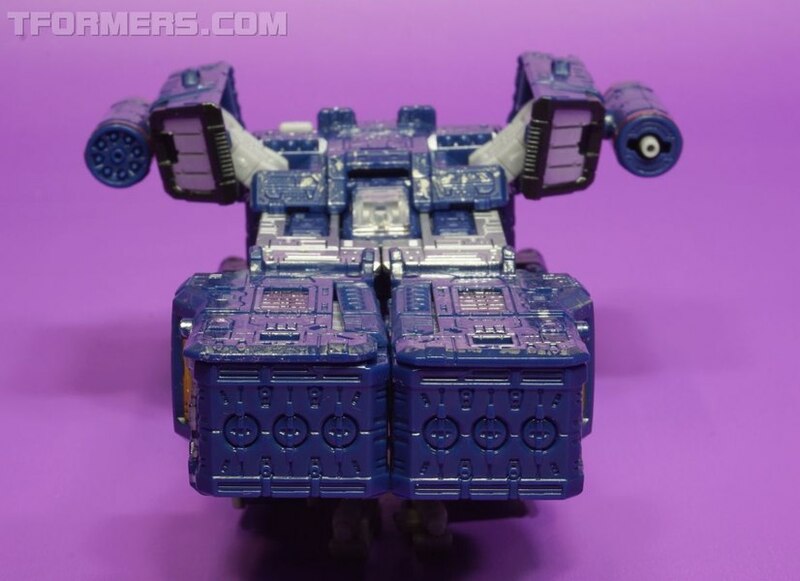 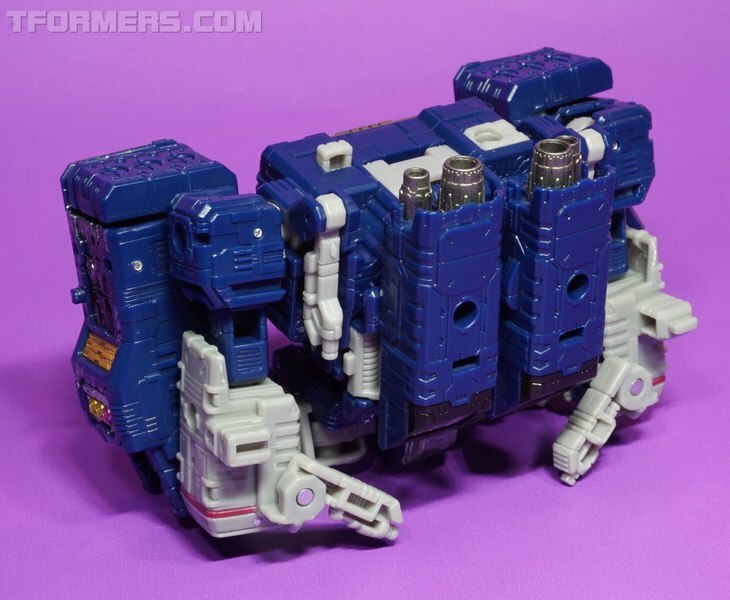 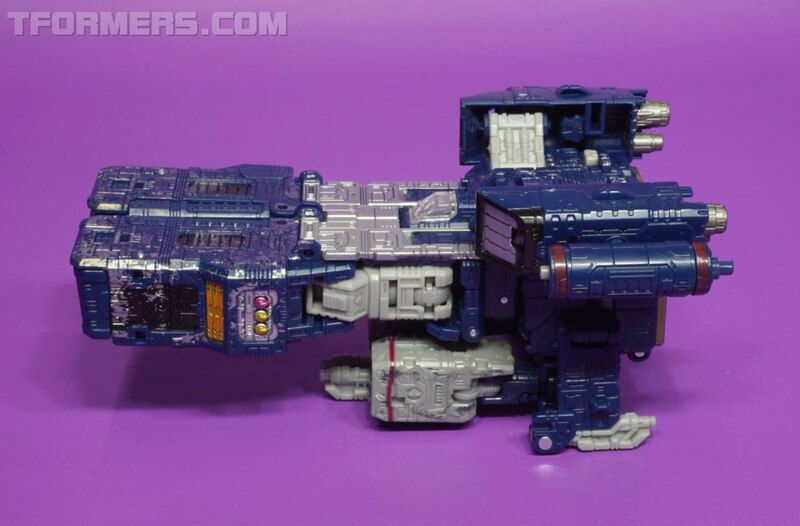 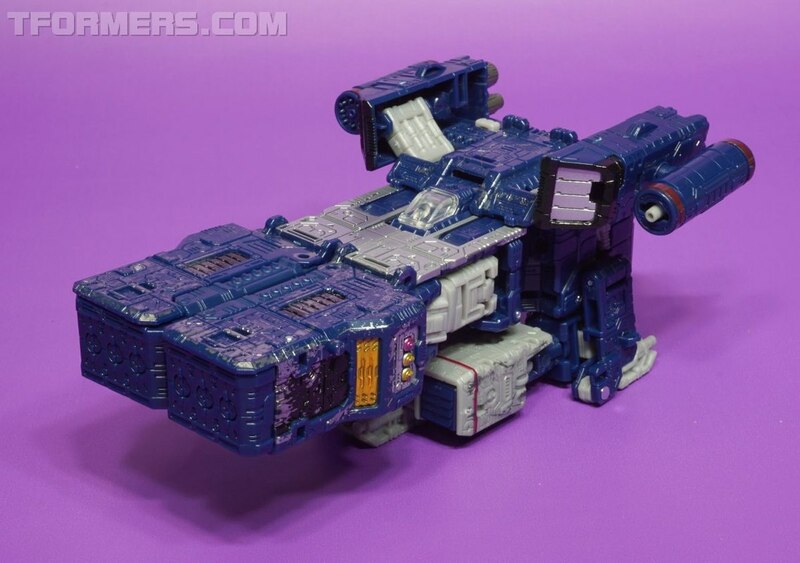 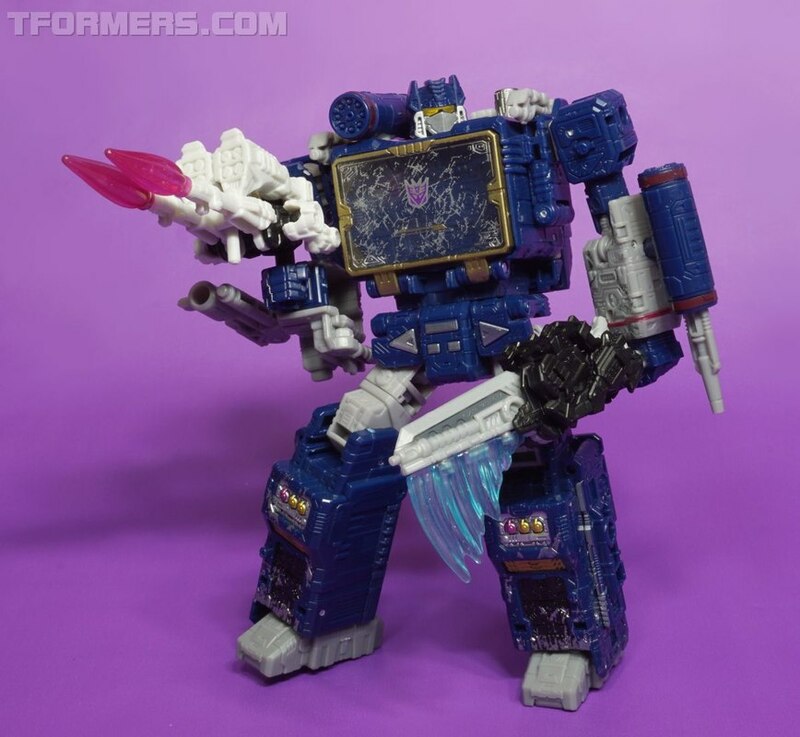 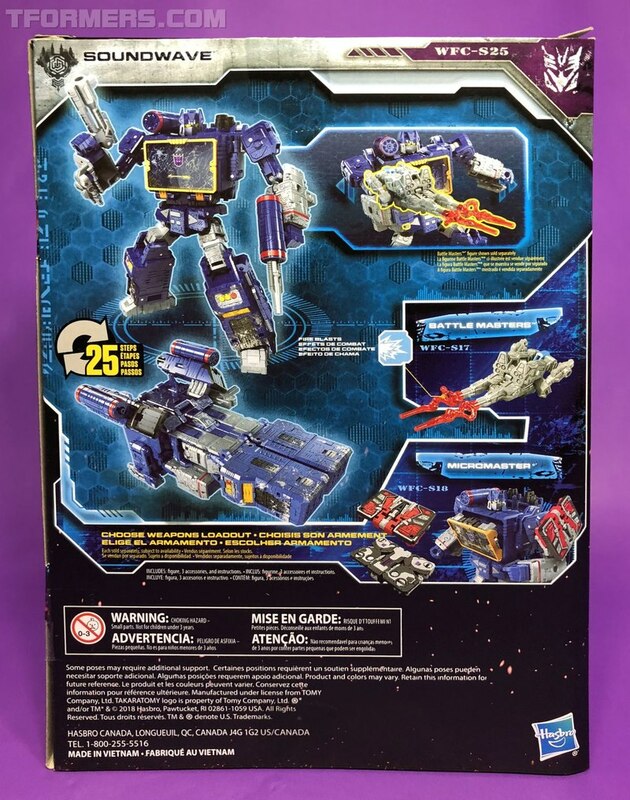 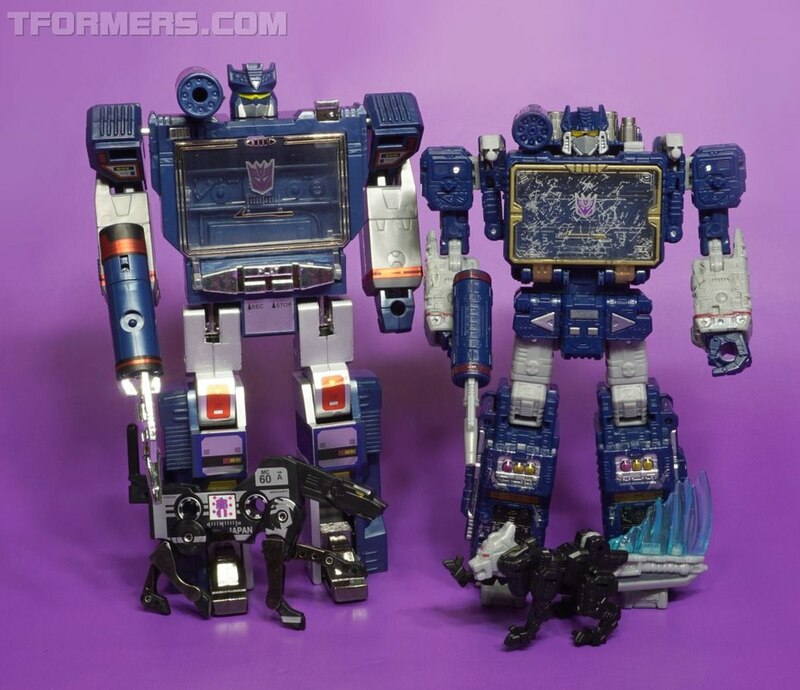 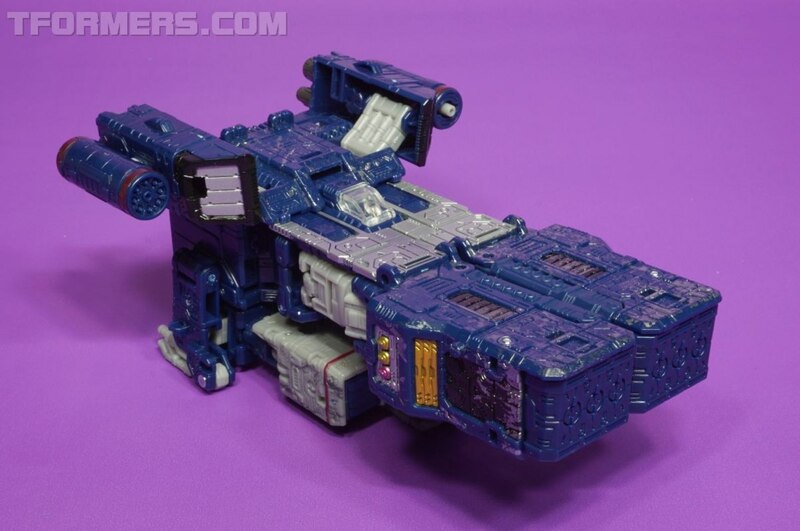 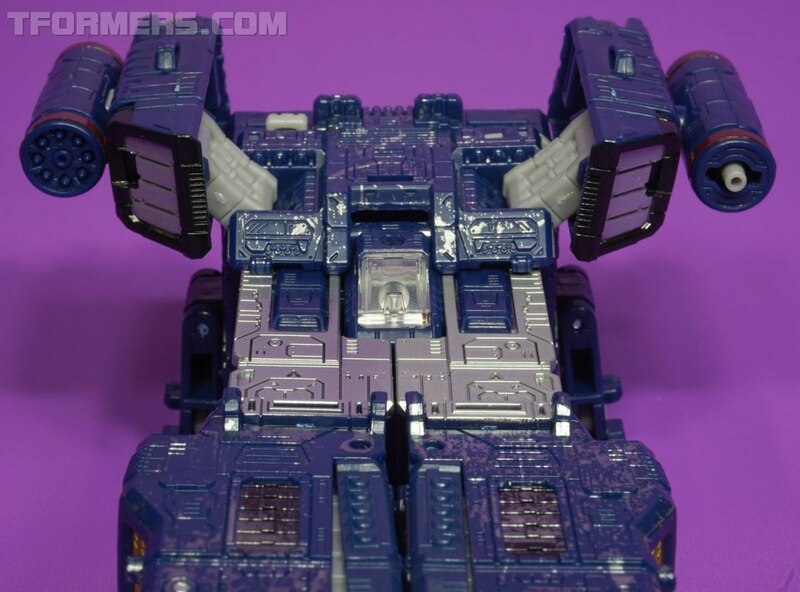 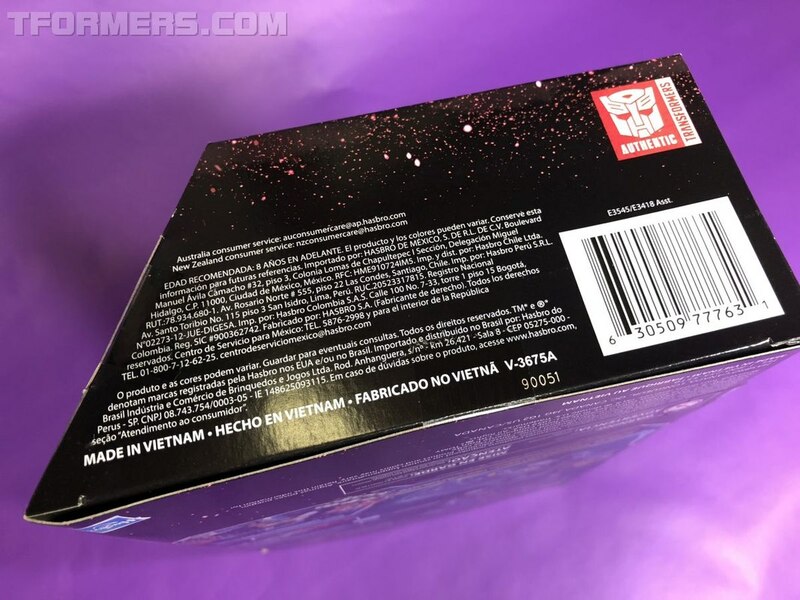 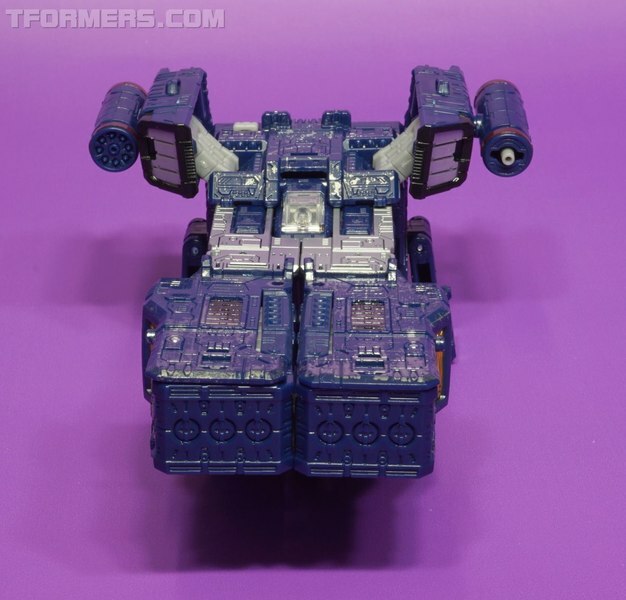 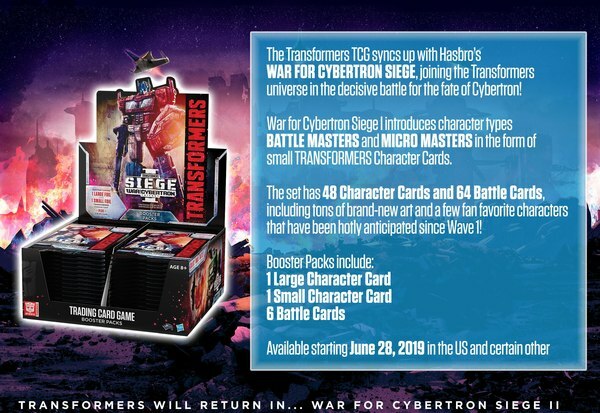 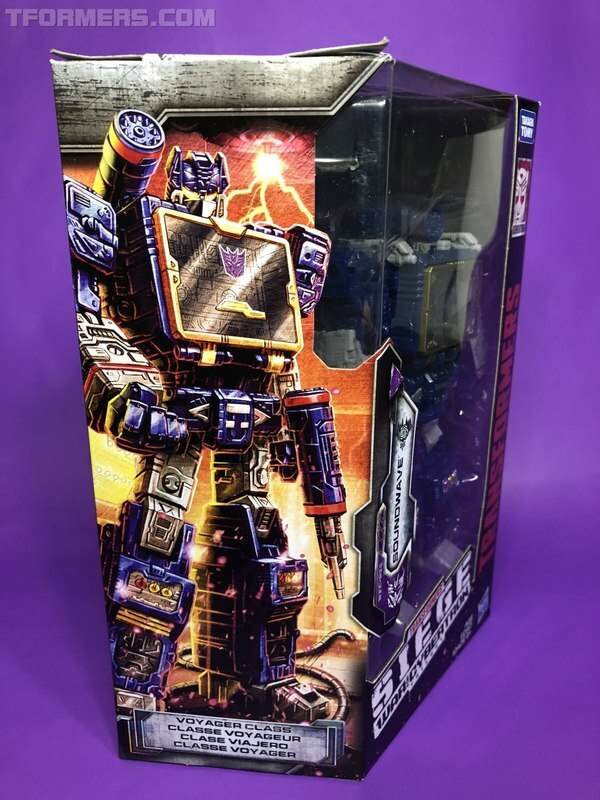 Soundwave gets the War For Cybertron SIEGE treatment in the form of a Voyager figure that is nicely Cybertronian with his hallmark G1 robot and a truly alien spaceship alternate mode. 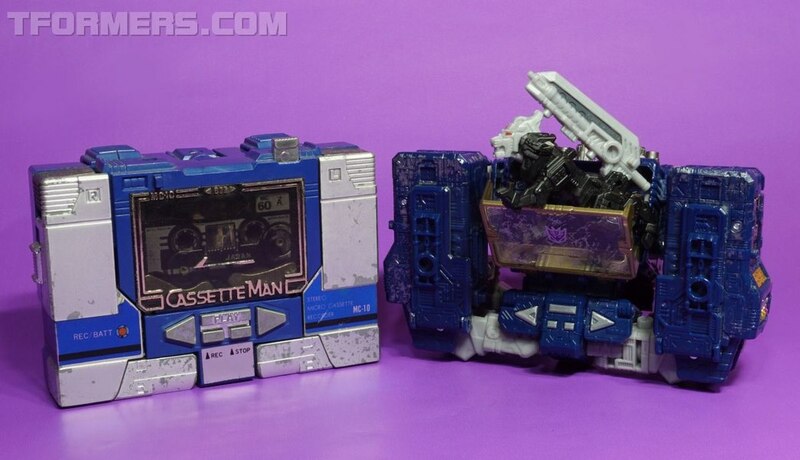 What's missing is the classic Sony Walkman inspired cassette player mode that was carried over from Takara's 1983 Micro Change MC-10 Cassette Man release in Japan. 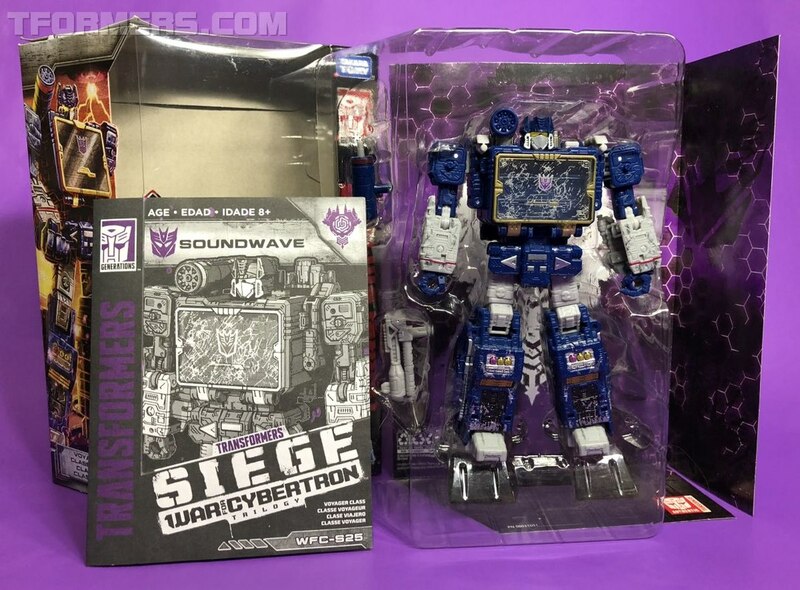 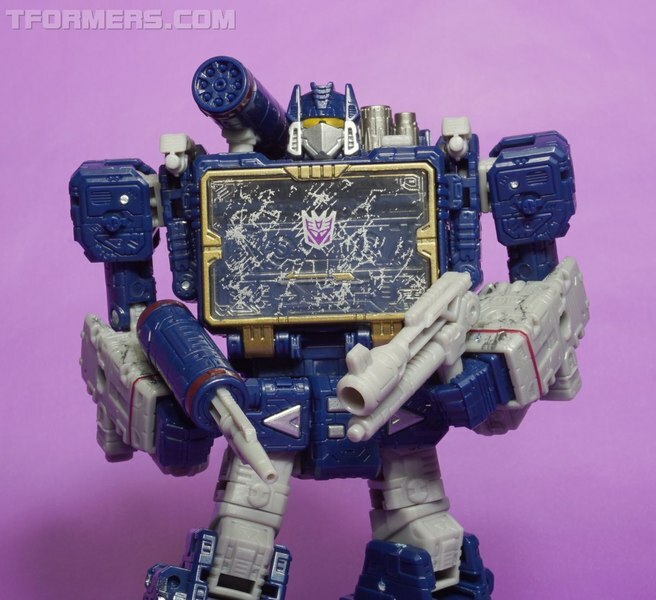 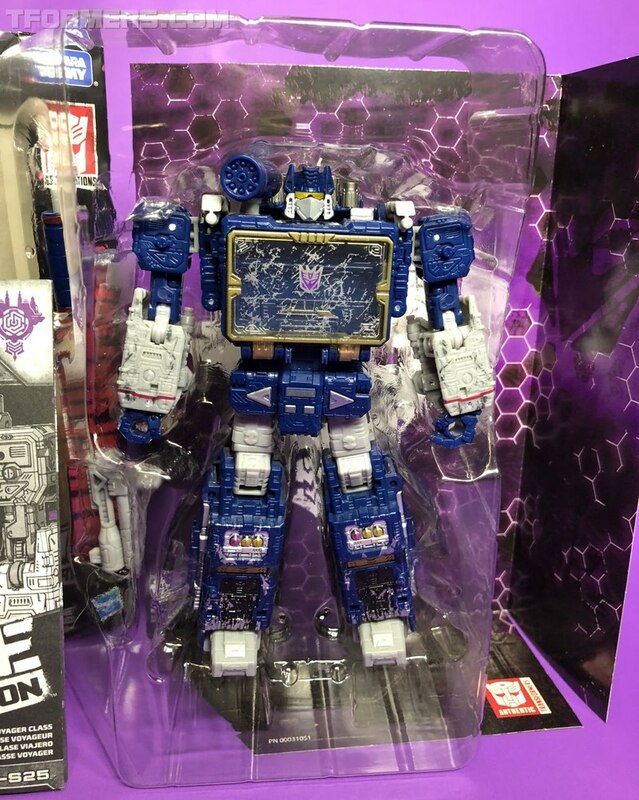 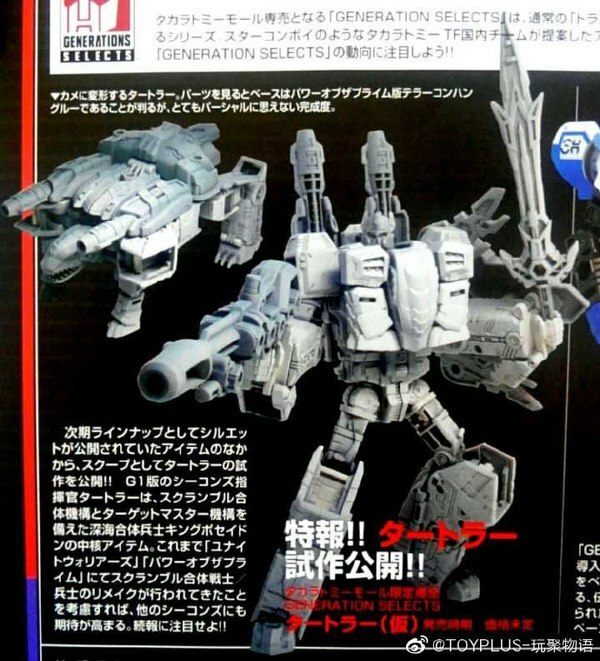 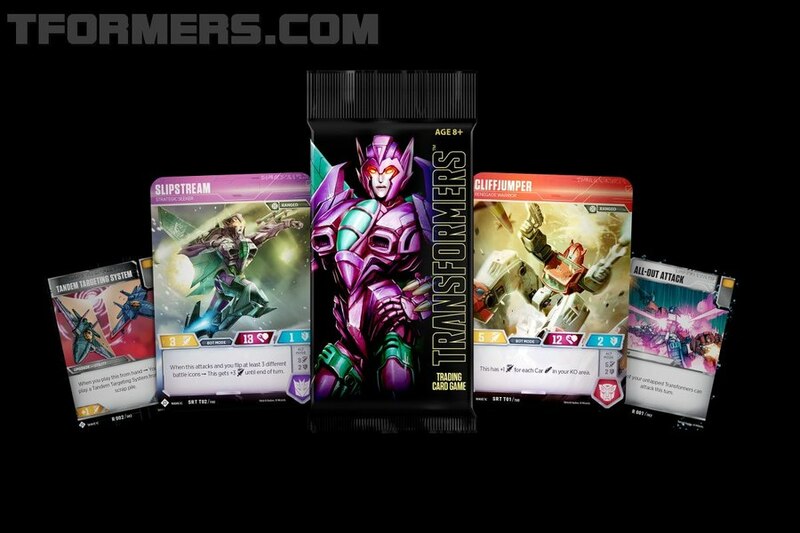 But there is more than meets the SIEGE Soundwave. 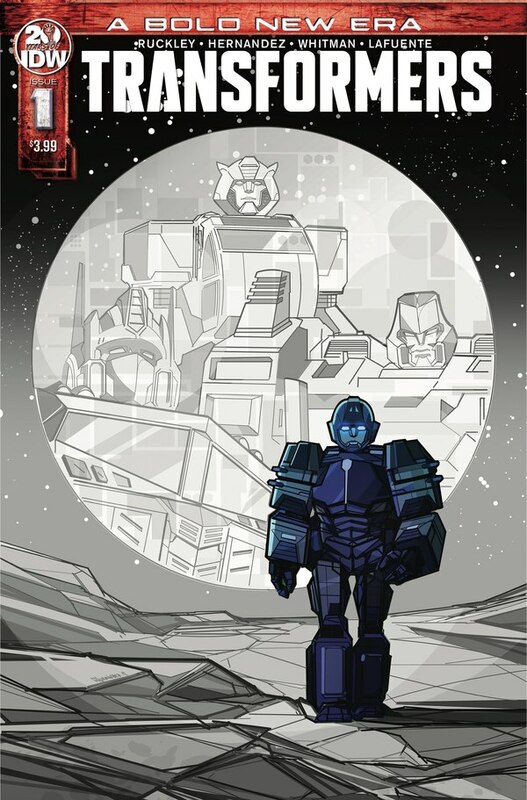 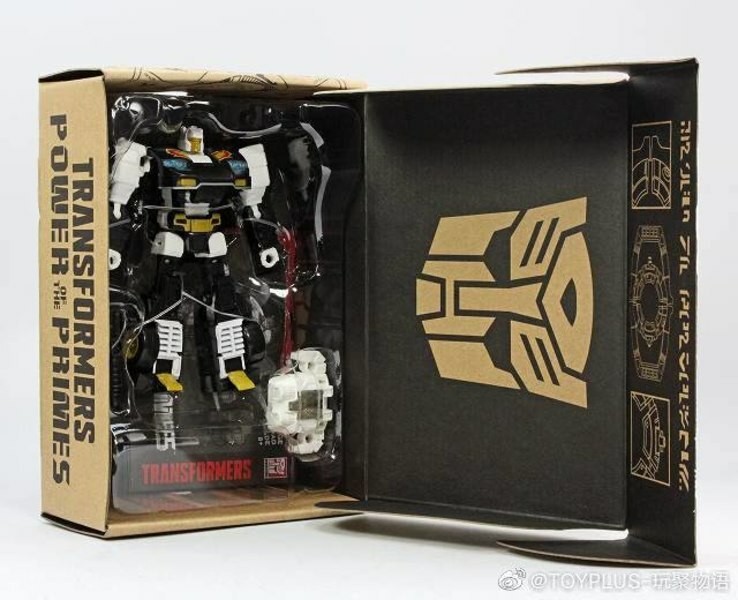 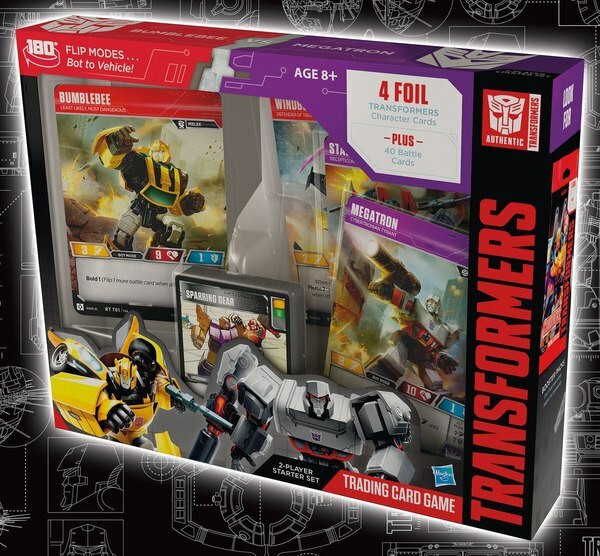 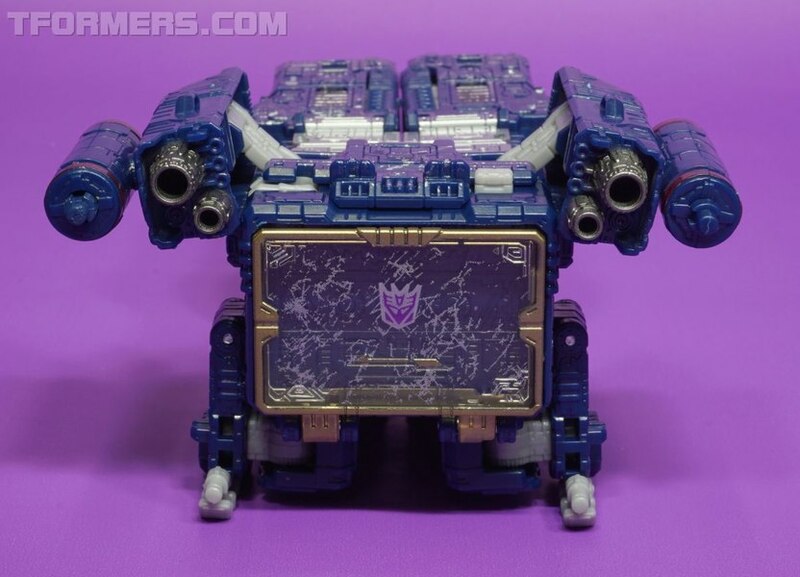 Even though the designers included the tape player buttons on the WFC-S25, his tape mode was forgotten on this release. 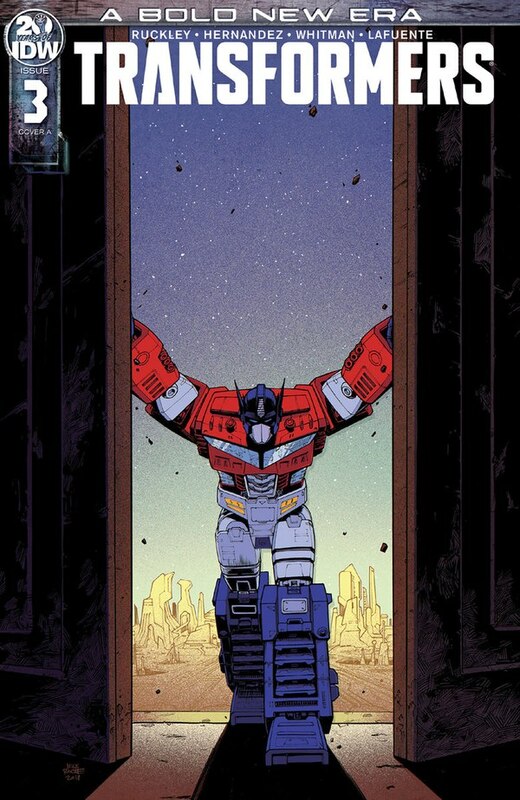 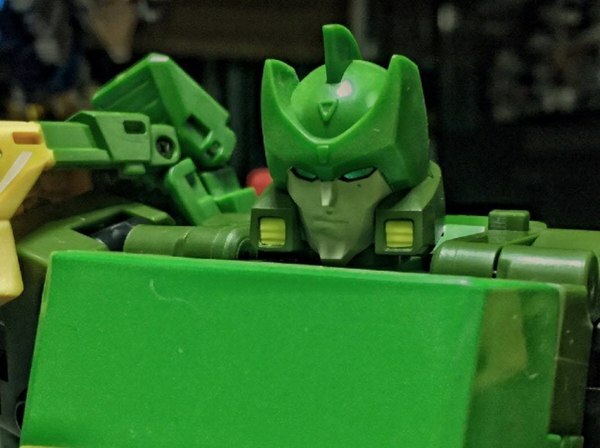 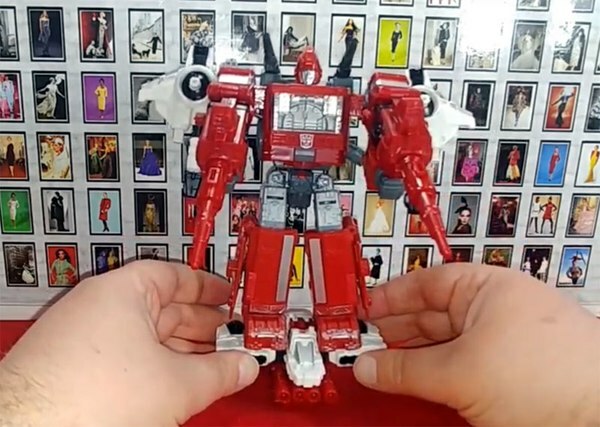 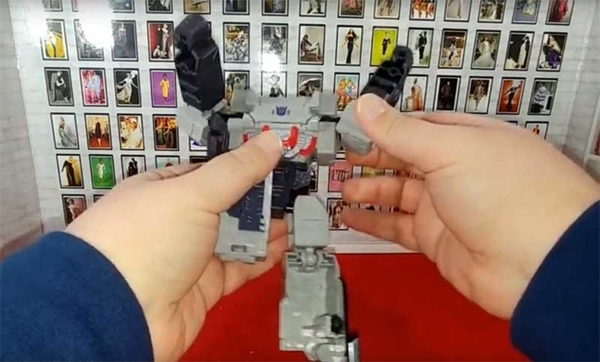 Leave it to the fans to square things up with a less than true transformation that is just good enough to be called a "mode". 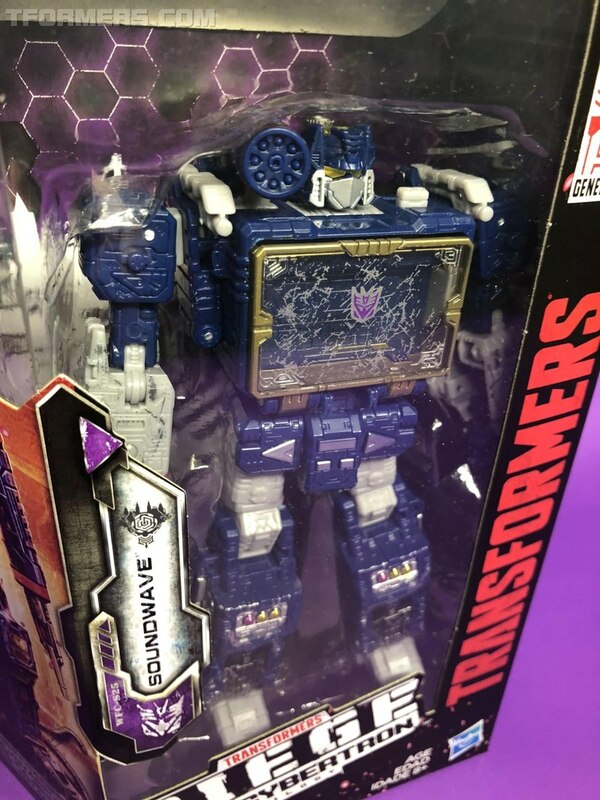 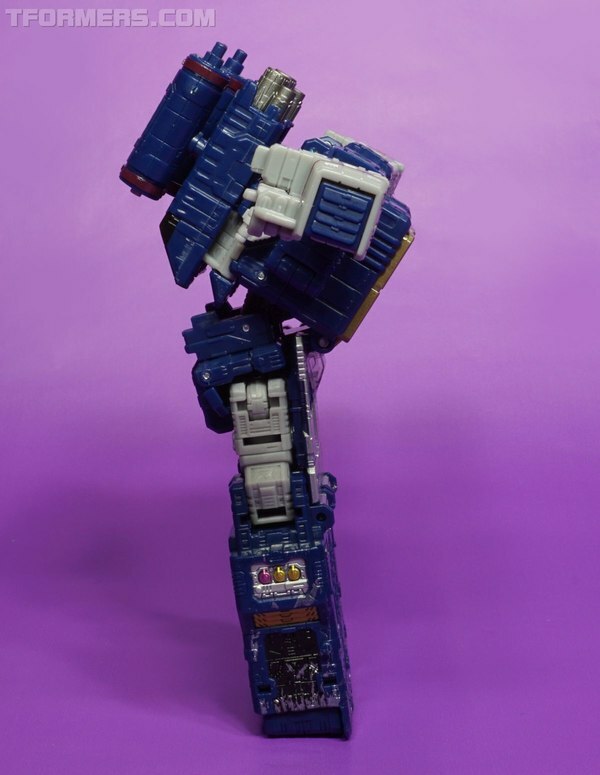 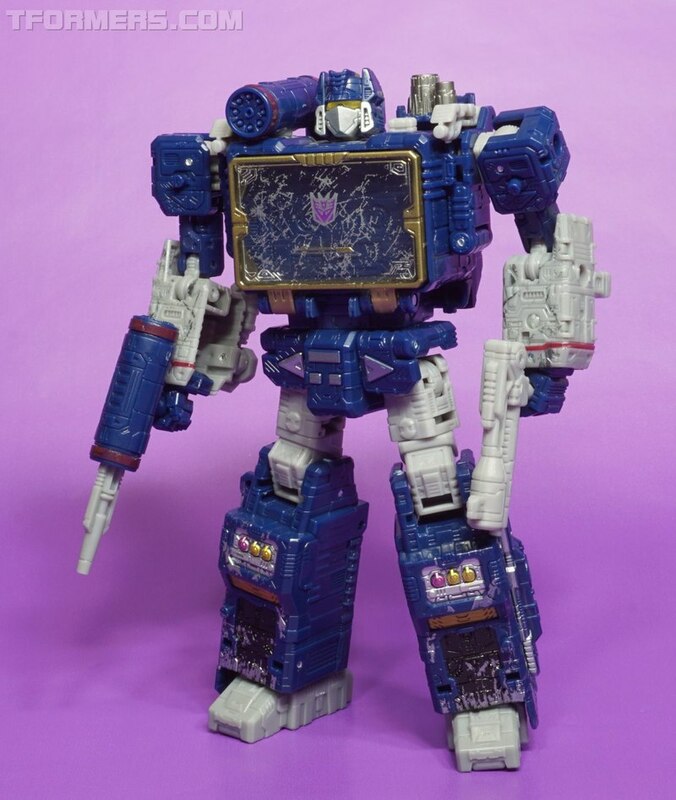 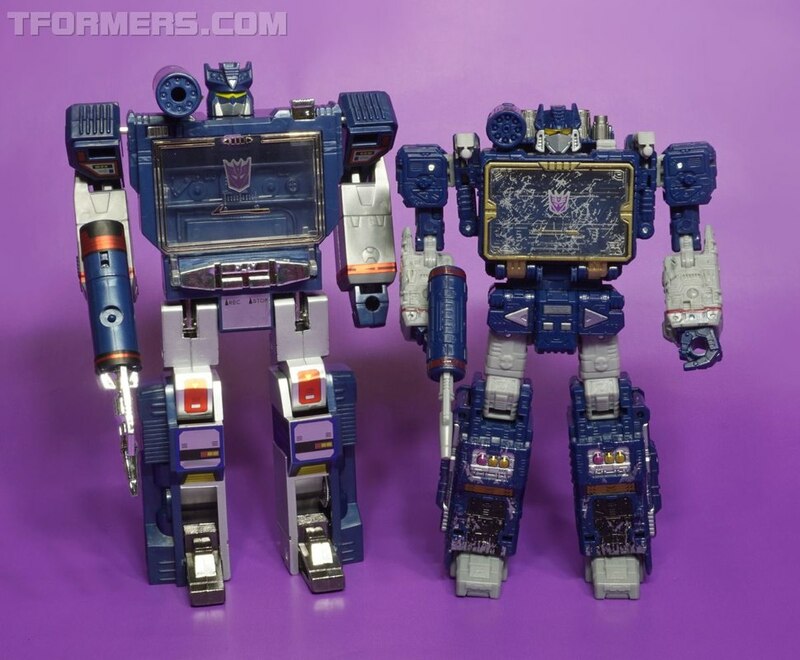 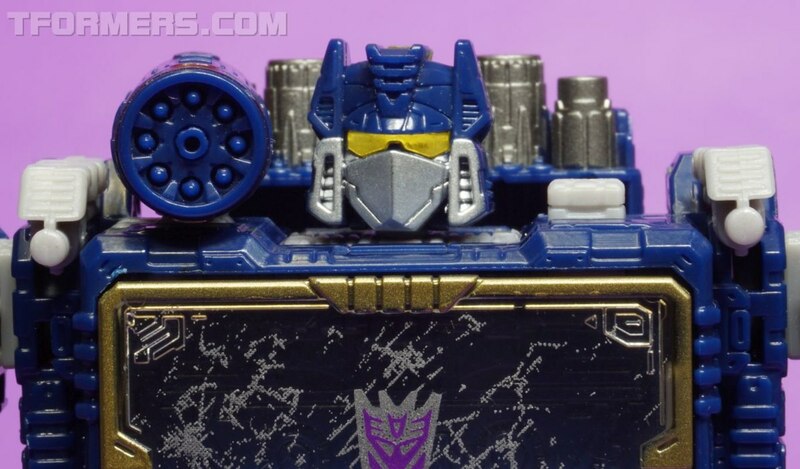 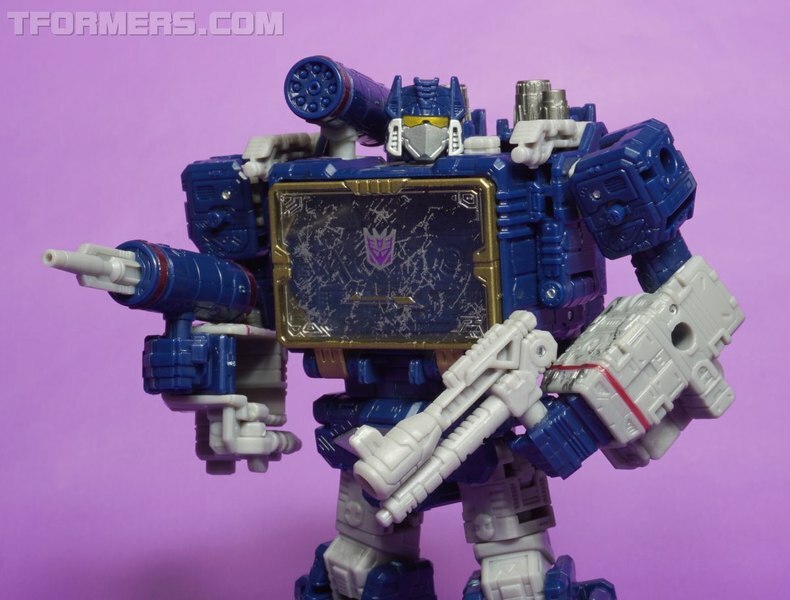 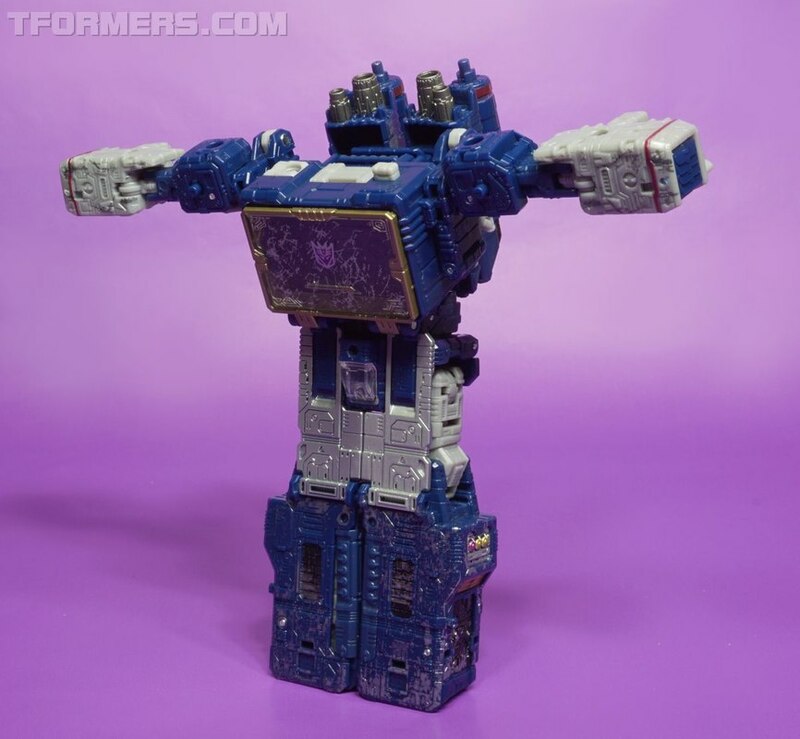 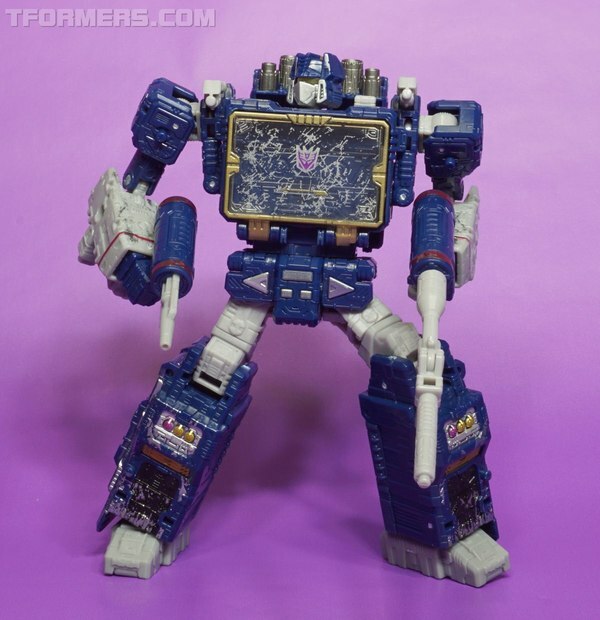 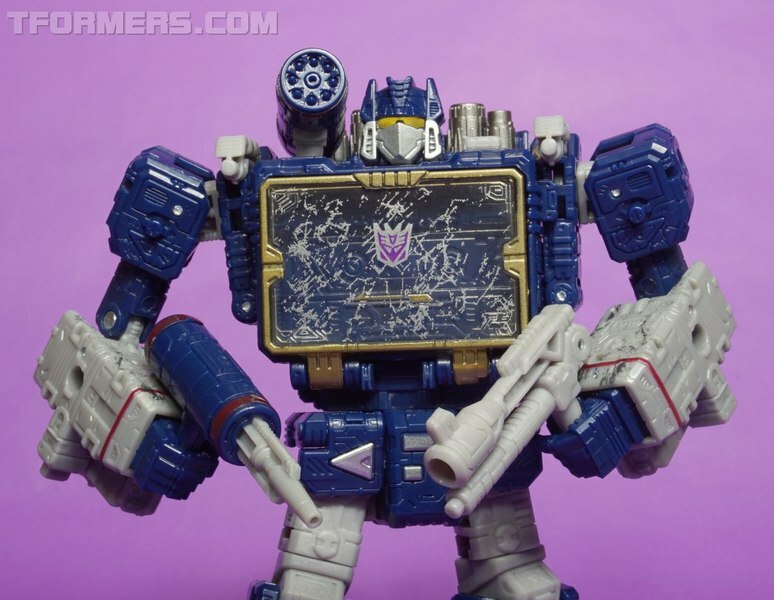 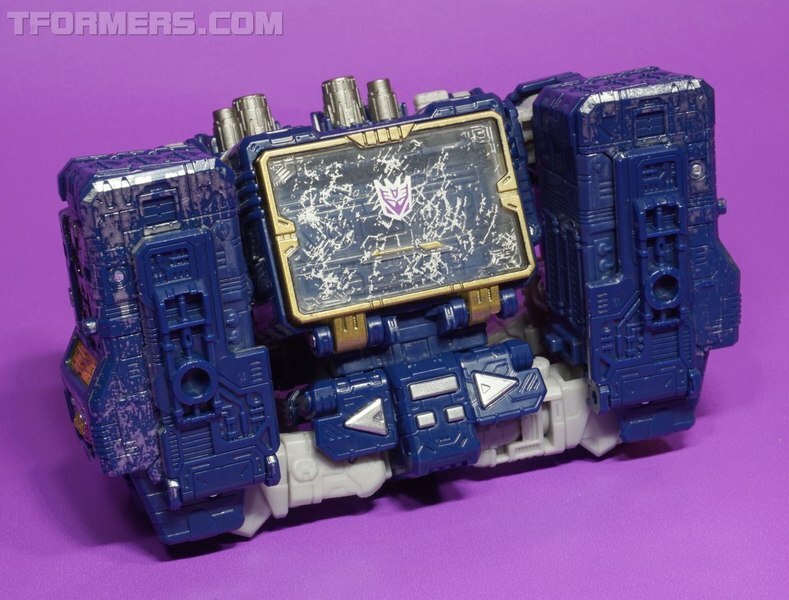 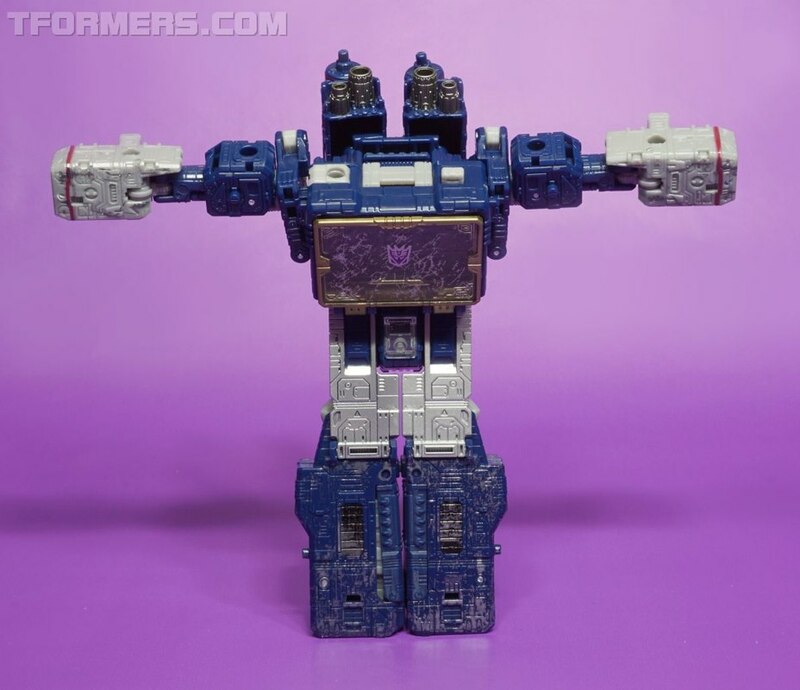 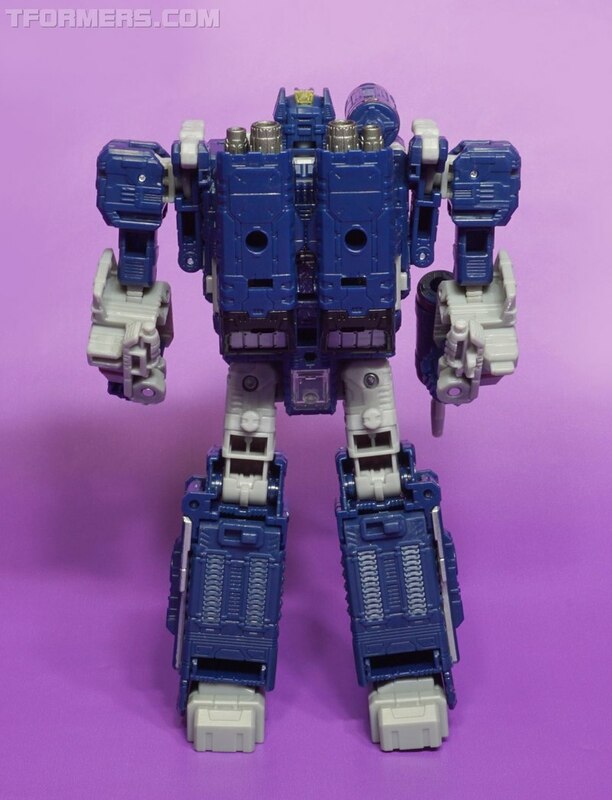 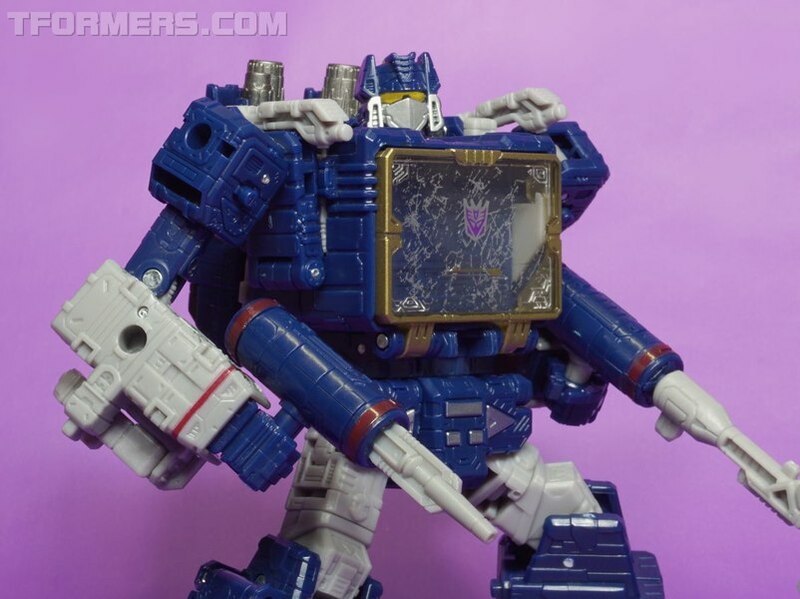 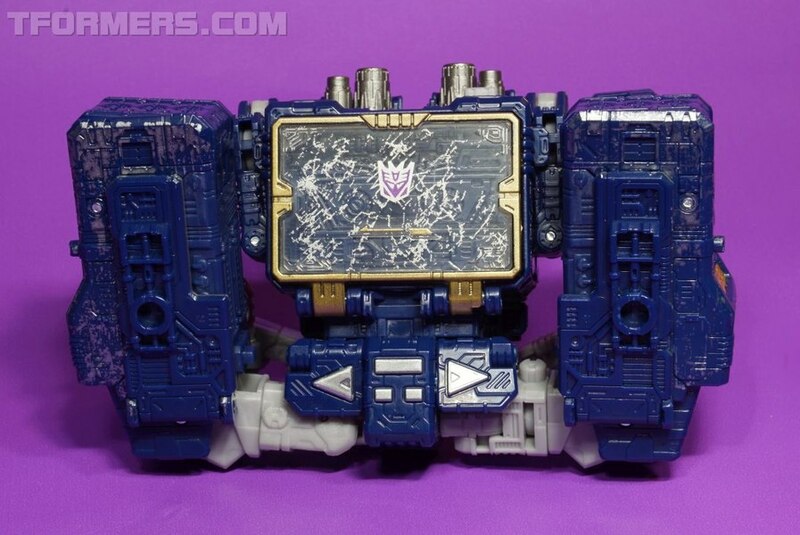 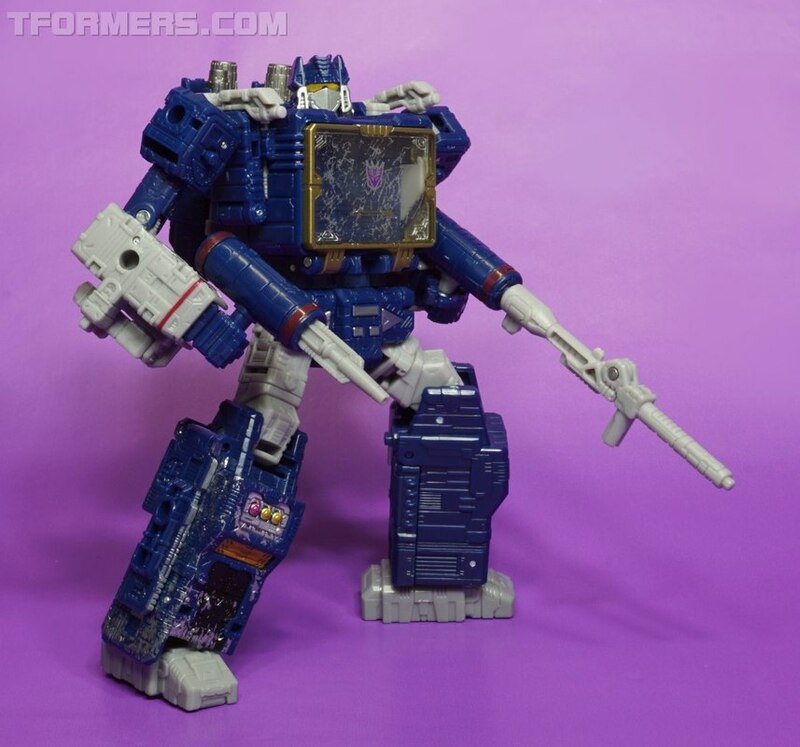 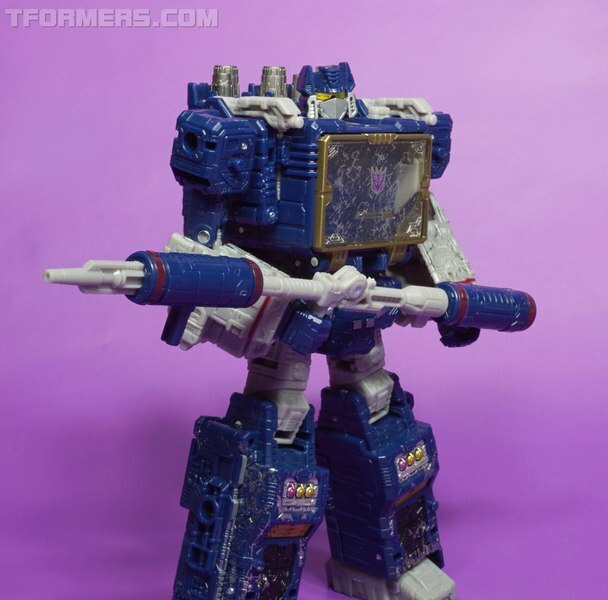 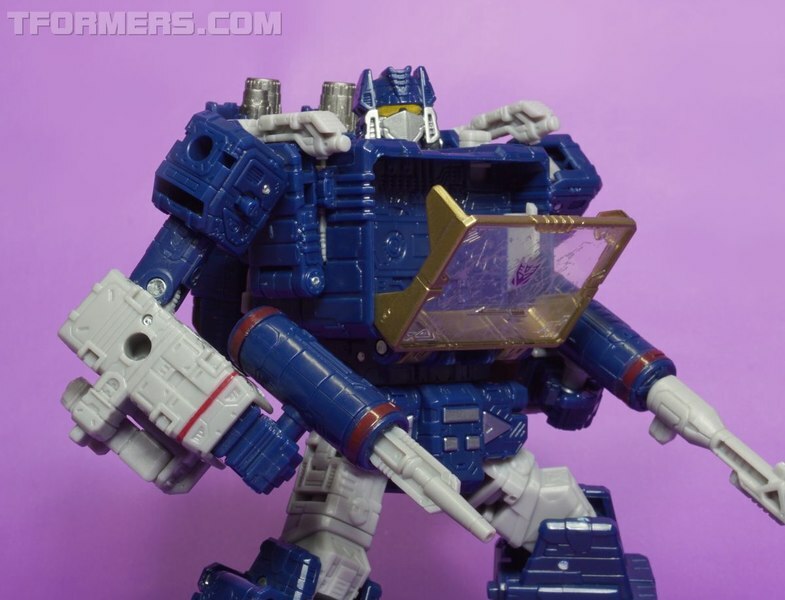 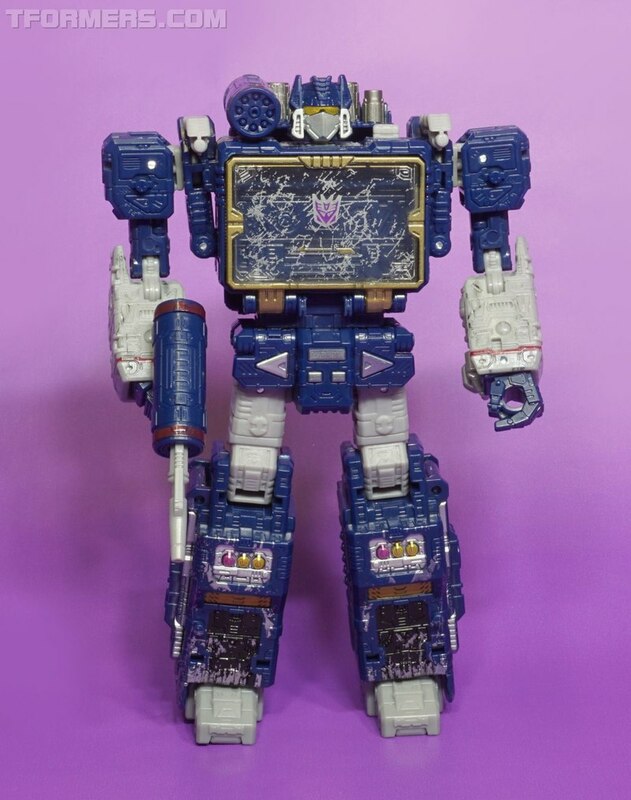 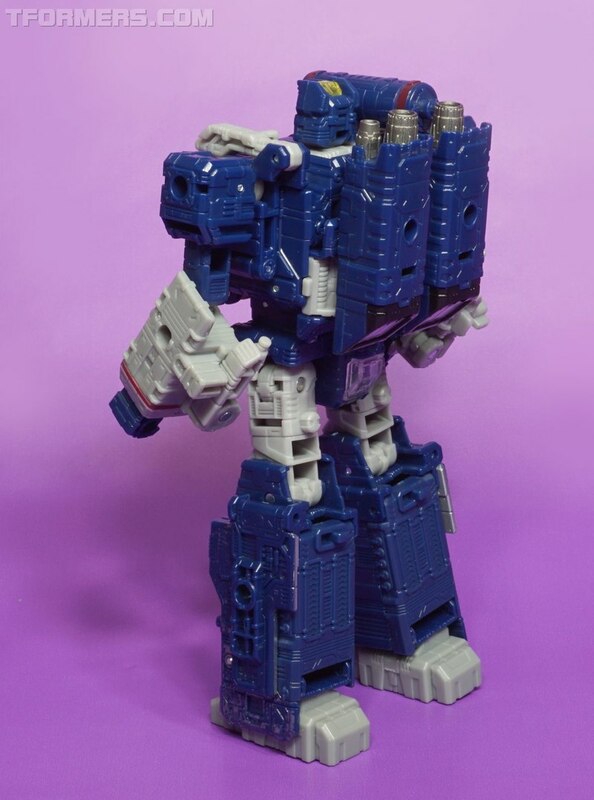 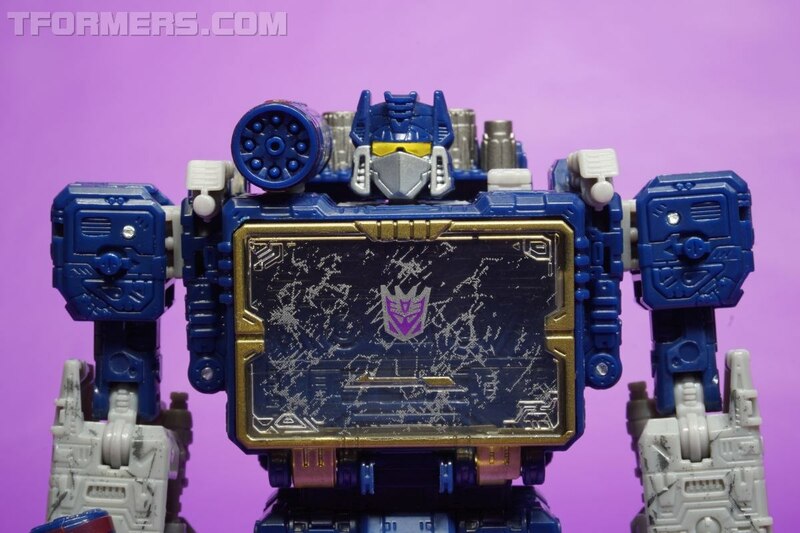 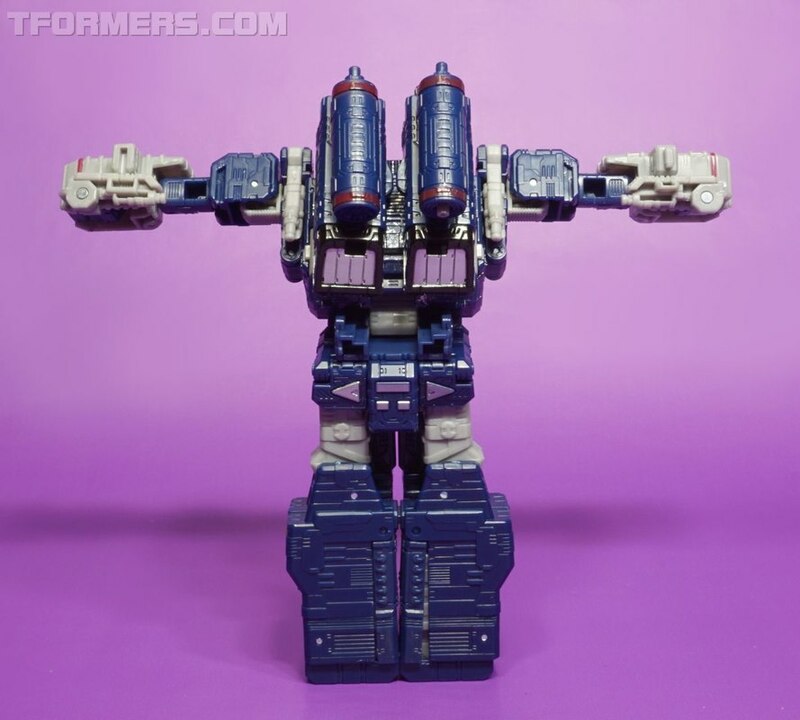 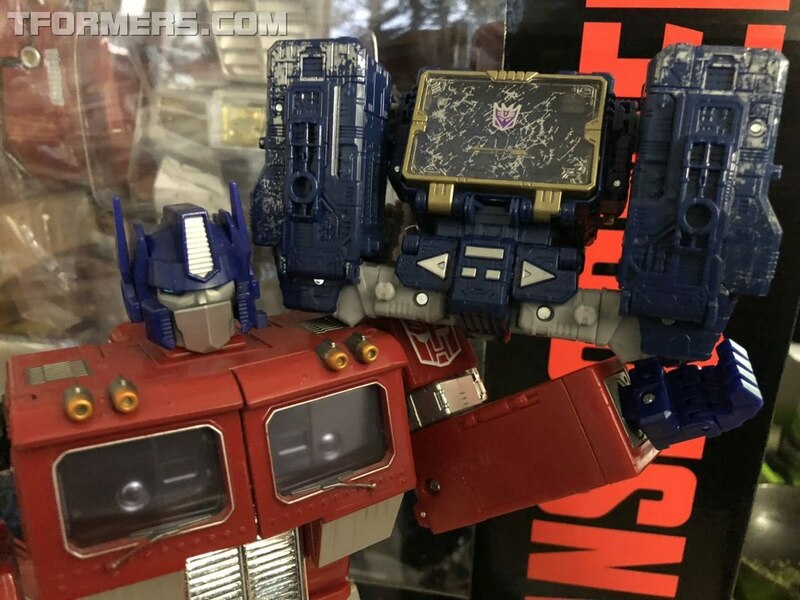 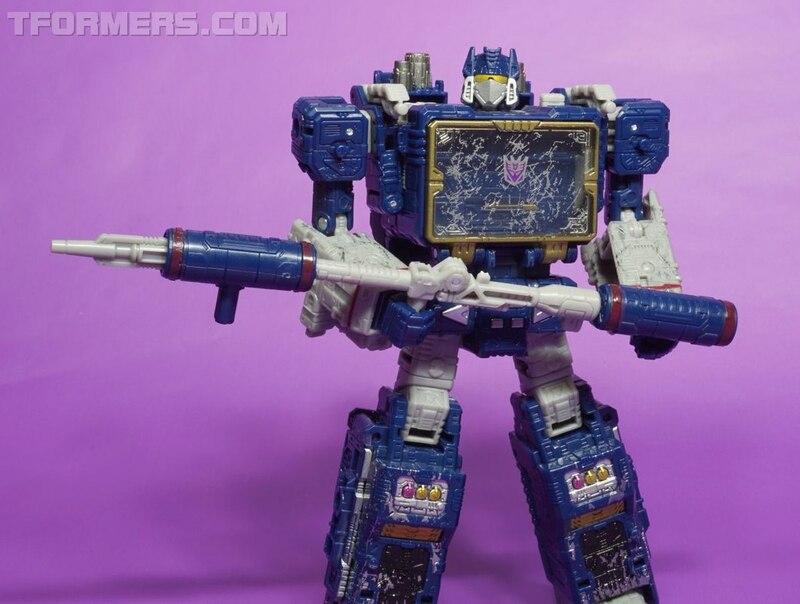 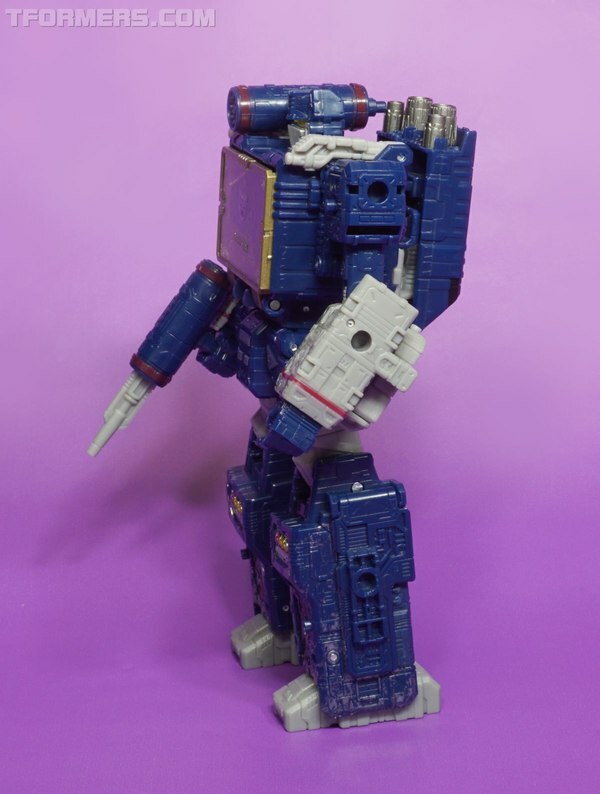 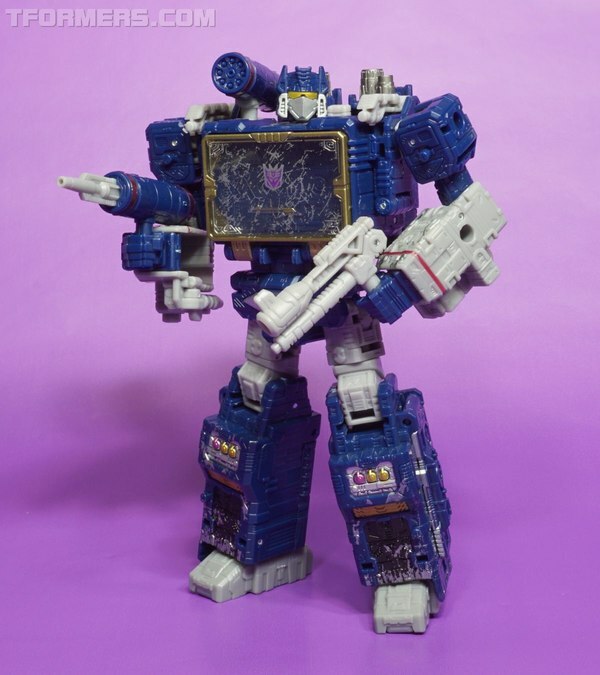 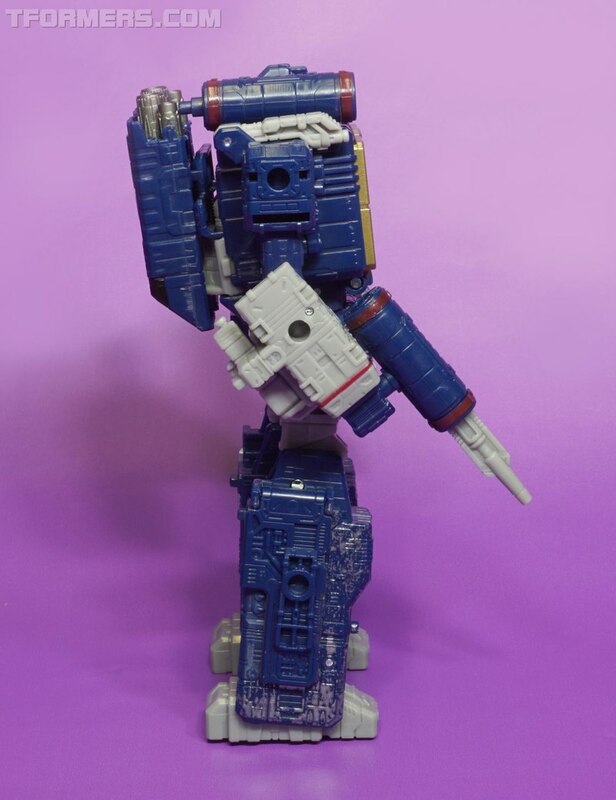 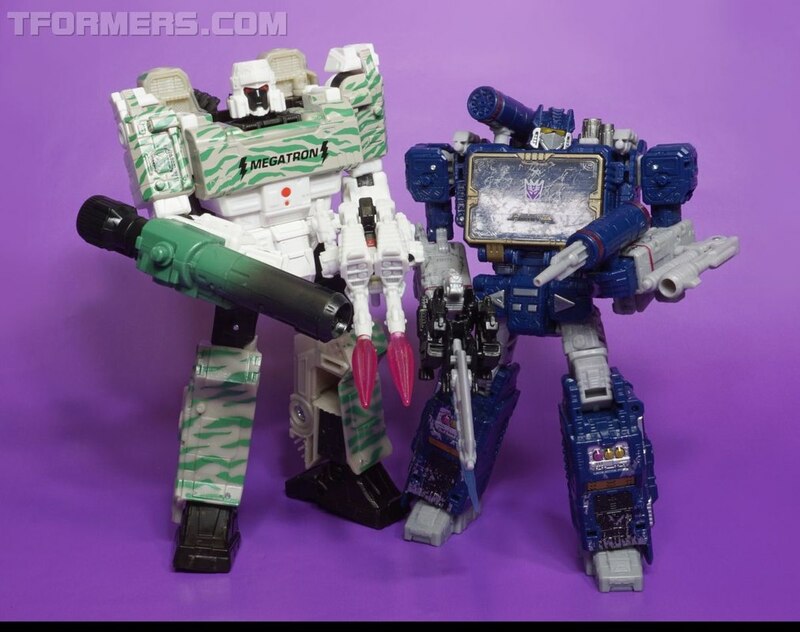 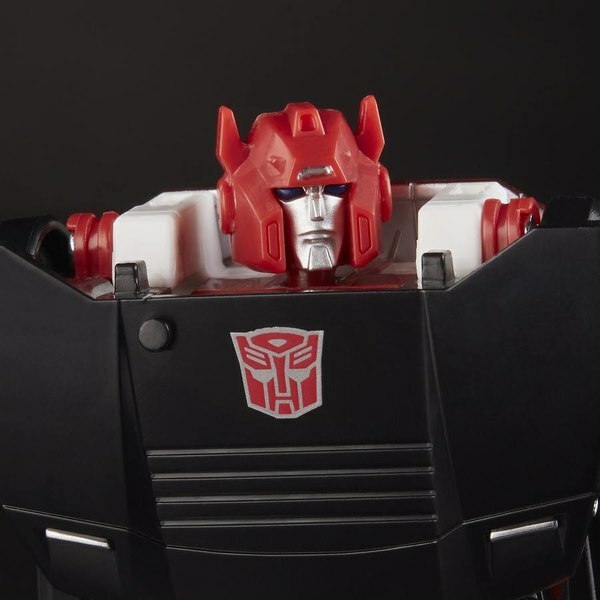 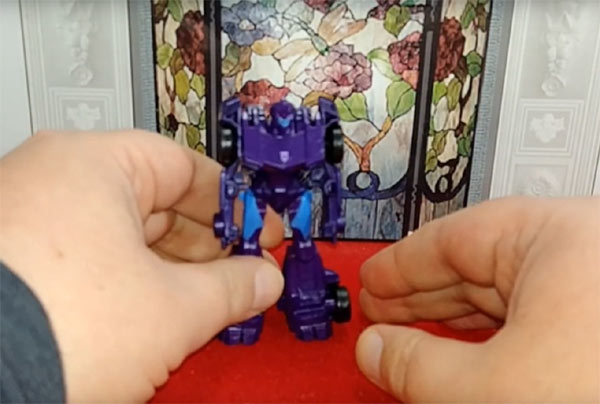 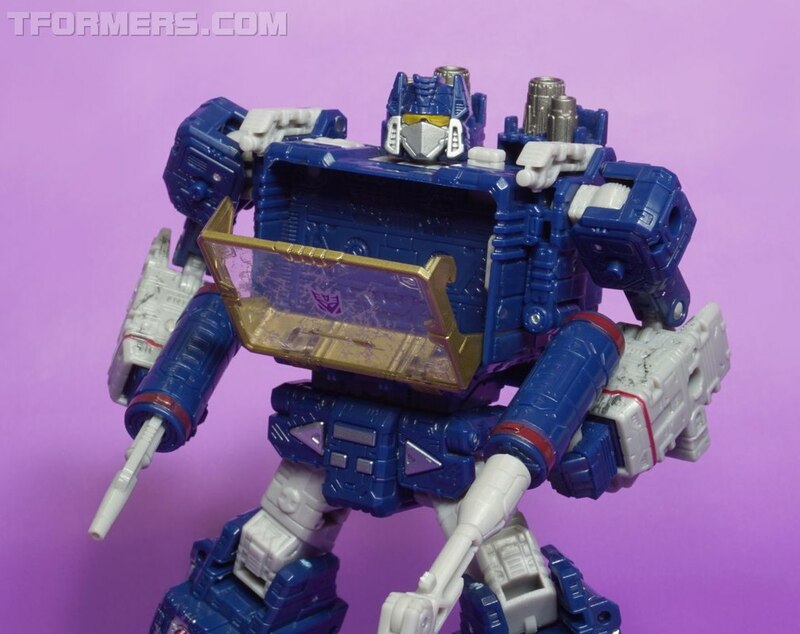 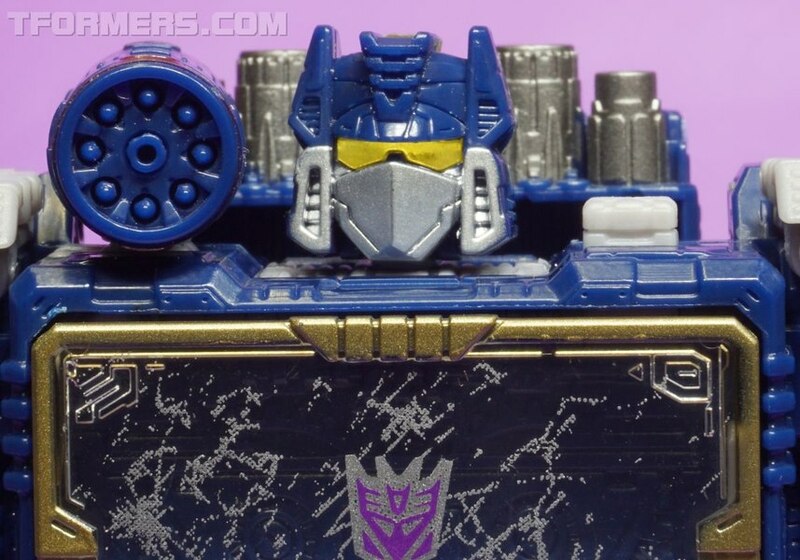 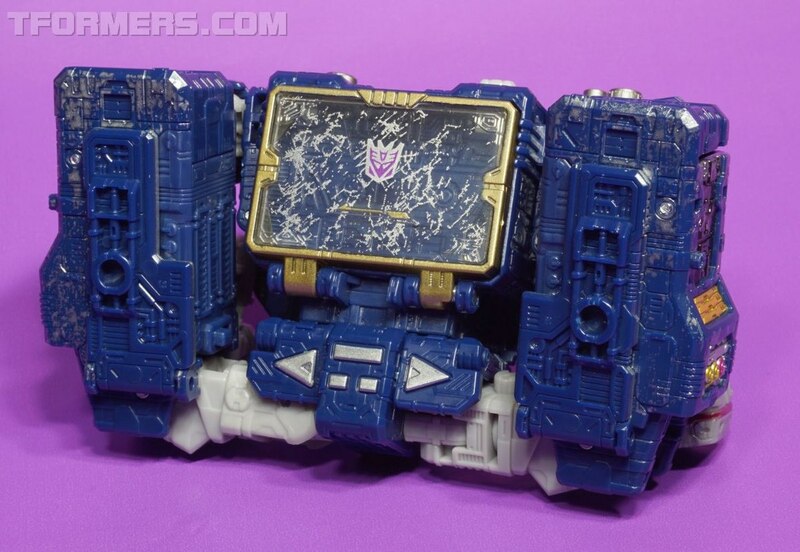 As an added bonus, the fan community has also managed to render SIEGE Soundwave in a Lamp Post mode inspired by the G1 cartoons. 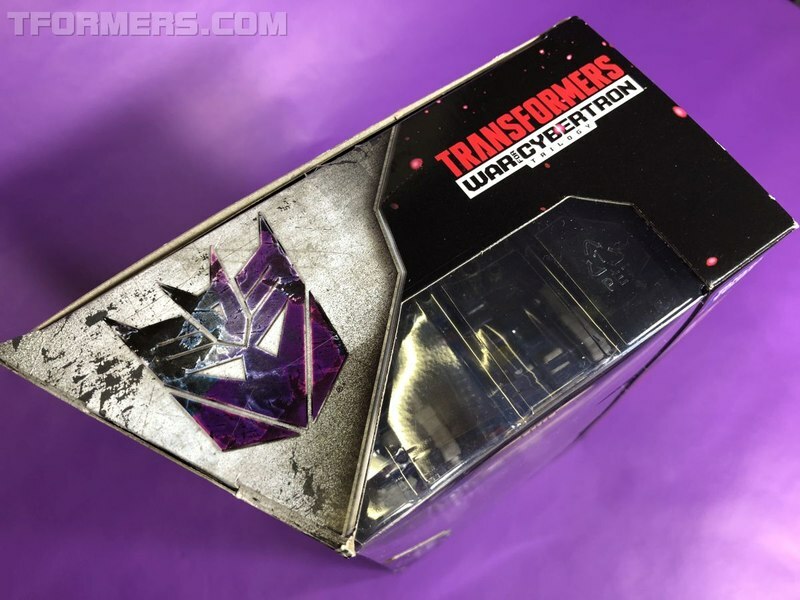 Read on to see the full gallery of high-res images thanks to our friends over at Megalopolis Toys as well as the video review by our good buddy, TMan978.